Fe Fi Fo play at Best Video Performance Space on Fri., July 29. The music starts at 8 PM and there is a $5 cover. 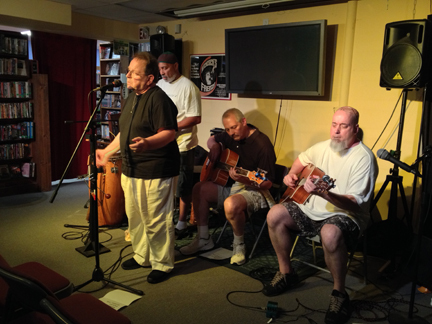 The Fe Fi Fo acoustic trio takes you on colorful tonal and lyrical adventures. Fe Fi Fo plays mostly original music however often includes cover material from artists like Leonard Cohen, Tom Waits, Captain Beefheart and even some Frank Zappa. The lyrical content examines life from a myriad of perspectives and is socio-political and often cathartic, and the passionate vocal delivery of Jon White certainly helps get that message across. Guitarist Ronnie Neuhauser delves into a number of alternate tunings of his own devising bringing interesting tonal colors to the music. Ronnie Neuhauser and Fred Melillo (bass) also insert some very technical instrumentals into the mix. Fe Fi Fo is definitely not your average acoustic trio. Ronnie Neuhauser also runs two other musical projects, No Cheez Orchestra and Styrocultural Antidote, both very original, progressive musical projects. Check us out at www.nocheez.com. The Walkingwood Mandolin Quartet play Best Video Performance Space debut on Thursday, May 5. The show starts at 8 PM and the cover is $5. The Walkingwood Mandolin Quartet (WMQ) was founded at the turn of the century to apply the quartetto classico version of the mandolin quartet to a completely new repertoire. Whatever your preconceptions are about what a mandolin quartet is like, forget them. 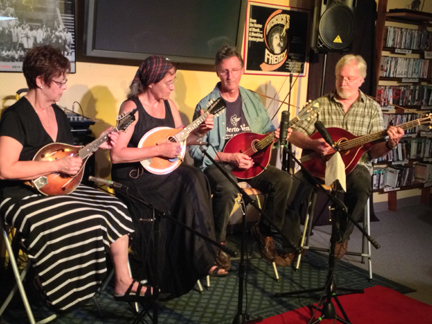 The current and founding, members of WMQ are: Ellen Cohn, mandolin; Colin Healy, mandola; Betsy Rome, mandolin; and Gary Wikfors, mandocello. “Walkingwood” is the name given the home of mandocello player Gary Wikfors. Gary had acquired a chronic itch to arrange music for mandolin quartet, and eventually a mandocello and mandola to do so. After experimenting with multitrack recordings, Gary felt the need to impose this affliction on some musical friends. Betsy likes to joke that this is the first band she was invited to join by email. All WMQ members are playing out of their normal elements in this group: Betsy is a well-known flatpick guitarist anchoring the bluegrass-swing quartet “Too Blue,” Colin is a fiddler and multi-instrumentalist at the center of the “Ash Creek String Band,” Ellen is a sought-after accompaniest of traditional Irish and Quebecois tunes on piano and guitar, and Gary usually plays the wee-little mandolin with “The Fiddleheads” and others. WMQ made its public debut in 1999 at the NOMAD festival in Newtown, CT. Since then, we have played other folk and traditional-music festivals, coffeehouses, concerts, apple orchards and private events. 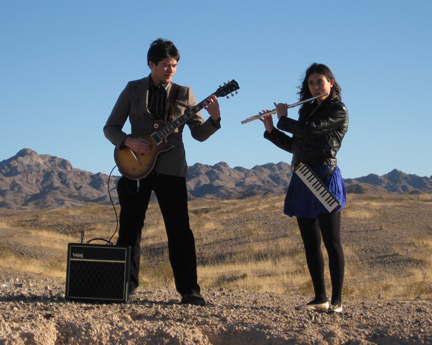 Art rock group Floating Lanterns play the Best Video Performance Space on Wednesday, Apr. 23. The music starts at 8 PM and the cover is $5. Searching for answers through art. The compositions are influenced by the experimental and truth seeking nature of the ’60s, and ’70s, with the ideals of a once promised, hopeful future. Floating Lanterns was born in a bleak world during uncertain times. Art and melancholy under darkening skies. 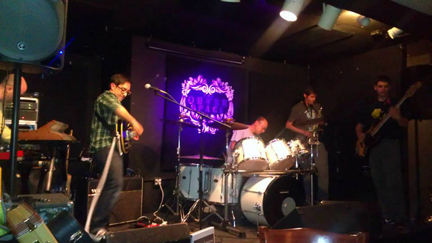 Players are Jeff Cedrone (guitar, vocals, keyboards), Jackson LaRose (bass, vocals), Neil McCarthy(alto saxophone, effects), John C. Miller (synthesizers, electronics) and Joe Mignosa (drums). For more info check out their Facebook page. 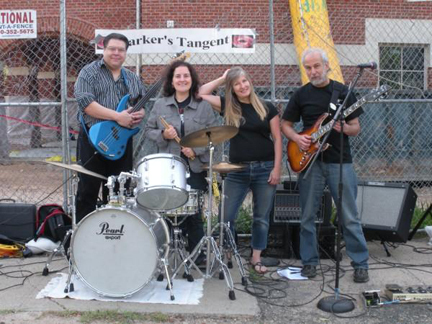 Parker’s Tangent plays the Best Video Performance Space on Thursday, Oct. 3. The music starts at 8 PM and the cover is $5.